sjhoward.co.uk » Blair’s last stand? Published on 3 February 2007. Undoubtedly, the most accurate comment about Mr Blair’s interview on the Today programme this morning came from the Liberal Democrat leader, Sir Menzies Campbell: “There is resignation in his voice”. 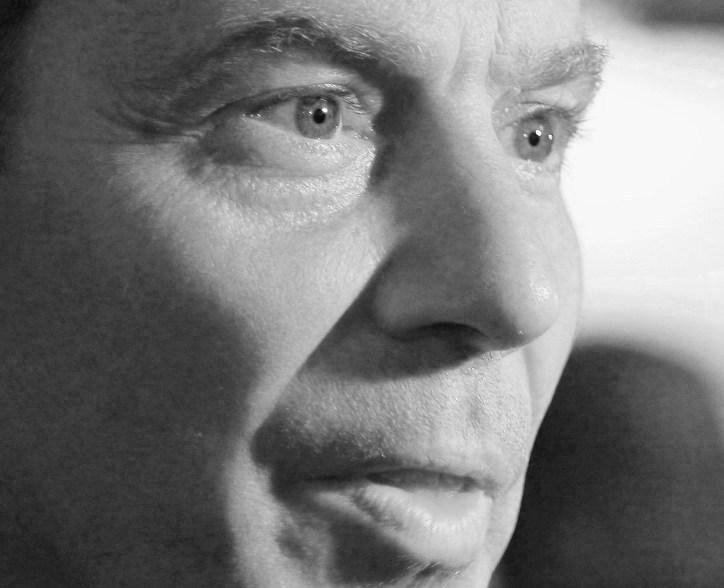 It was an extraordinary interview, unlike any we’ve heard from Mr Blair before. Listening back, Mr Blair sounds distinctly like he knows the game is up. He no longer seems to be a Prime Minister fighting for survival, but rather a Prime Minister who’s being kept in an undignified position until the Cash for Honours investigation ends, so that he, rather than his successor, can take the flak for it. It’s important to note that the interview was recorded before the news of his second questioning came out. The first particularly interesting segment of the interview comes right at the very beginning. JH: Good morning, Prime Minister. TB: Good morning, and welcome to West Cornforth. JH: Thank you. Er… We can’t go on like this, can we? TB: We can’t go on in what sense? JH: With this inquiry. It’s doing damage, isn’t it? TB: Well, I think it’s got to run its course over the next few weeks. I hope it’ll be wound up and let’s see where we are then. And in the meantime, despite what people may think, I get on with the job. JH: You may get on with the job, but it’s doing damage isn’t it, that’s the point. TB: Well, I think the most sensible thing is actually to wait and see what the inquiry comes up with. We won’t have a great deal longer to wait. The extraordinary thing about the start of this interview is the emotion shown by the PM. Listen to the whispered ‘well’ of his first proper answer, and the clearing of throat, as if he’s a little choked up. That’s not the mood of a leader striving to continue for another six months to try and achieve a true legacy. It’s the mood of someone who’s throwing in the towel, and just waiting until the inquiry reports – apparently soon – and he’s forced to resign. TB: And, in the end, I totally understand why this obviously is very obsessive and somewhat distracting for media, it’s bound to be, but it isn’t for me. JH: But it’s not just for the media, is it? And it’s not just distracting. If you hear what Lord Kinnock said yesterday, and you’ve seen it, he said the damage to reputation, to trust, will take years and a great deal of action to try and repair. And your own Party Chairman, Hazel Blears, talks about the corrosive effect. We heard Shahid Malik saying there’s enormous damage being done to trust and confidence in our democracy. That’s what I mean when I say it can’t go on. TB: Yeah, I entirely understand what you say, but it’s not going to go on, because it’s going to come to a conclusion, and the sensible thing is to wait for the conclusion before we reach our own conclusions. JH: But it has been going on for a very long time, hasn’t it? TB: Yes, it certainly has. JH: And do you know that it will come to a conclusion soon? TB: No. I mean it’s entirely up to the police as to when they conclude their inquiry. But, I mean, let us hope at any rate that it does come to a conclusion shortly and then, incidentally, I’ll be perfectly happy to answer questions about it and what went on and so forth, and all I say to members of the public is that I wouldn’t believe everything that’s ricocheting round the media in terms of what’s supposed to have happened. JH: What should we not believe? TB: Well, I’m not going to go into all the detail of it. But what I will do, incidentally, very clearly indeed is when it is over I’m perfectly happy to answer questions on it. Again, I can’t shake the feeling that ‘when it is over’ means ‘when I’ve resigned over it’. And, of course, it turned out that what we couldn’t believe is that the Prime Minister hadn’t been interviewed again. Later, Humphrys turns specifically to the issue of resignation. TB: There is a huge debate about policy that is there but it doesn’t seem to me at any rate often to get the coverage that we should have for these issues which is why I think actually that what you’ve done this week is both sensible and responsible. JH: But that is partly because of so much attention being on you personally, and that’s the point of this, isn’t it, it’s been focused on you, Tony Blair, and you say we have to wait for it to come to an end. You, actually, could bring it to an end. You could say, ‘Look, I’m going. I’m leaving Number 10 within a few months anyway’, we all know that, we don’t know precisely when, but we do know you’re going. You could say ‘I’m going next week or tomorrow, I’m going to put an end to it. You can have somebody else, then, in Number 10 to kick around if you like, but I’m going to put and end to it’. You could do that and then it wouldn’t be about Tony Blair the Prime Minister, would it? That’s the point. JH: It would be a service to the country, to your party, not only the country, but it would service your party if they believed that your presence there is doing enormous damage. TB: It’s not a very democratic way to decide who the Prime Minister is or not. JH: But you’ve already decided that: You’ve decided you’re going. JH: But I’m going to come to that if I may. I’ll stop you there if I may because I do want to come to the Health Service in a moment in some detail. But surely Gordon Brown could do those things? I mean, that’s… you’ve said time after time you’ve total confidence in him, we expect he’ll be the next Prime Minister, I know you’re not going to confirm that, but the fact is that he could do those things that you want to do. JH: So why not stand down? Why not put an end to it all? TB: Because I don’t think that’s the right way to do it and I think it would be particularly wrong to do it before the inquiry has even run its course and come to any conclusions. So you’ll have to put up with me for a bit longer. He says here that he won’t stand down until the results of the inquiry are published… surely that suggests that he thinks he will be standing down when they are published? Later, Mr Humphrys confronts Mr Blair with one of his own soundbites. JH: Ten years ago, we spoke after the first scandal if that’s what it was, the Formula One affair, did a television interview and you said to me, and the quote has been used many, many, many times since then, you’ll know where I’m going, “People think I’m a pretty straight kind of guy”. They don’t think that now, do they? TB: Well I thought you might ask me that, and I thought about how I should answer it, and actually I got the same thing put to me during the course of the last election when I… people were calling me a liar, a war criminal, and so on. Maybe this is how I’ve changed over the years as well, and I said then during the election campaign, and I would say now, I’m not going to beg for my character in front of anyone. People can make up their mind about me according to what they think about me, but I know what type of person I am, and I’m not going to get into a situation where I’m sort of pleading for my integrity, not even actually in front of the public, even though I obviously have a deep respect for the British people and it’s been an honour and privelege to lead them. I try and do my best, I have tried to do my best over the last ten years. I don’t say I’ve always got everything right, of course I haven’t, and there’ve been mistakes and things that have gone wrong along the way. But actually, when I look back on my ten years I do beleive that there’s been a lot that’s been good for the country as well so I’m not really going to comment on my character like that, and other people can comment on it as much as they like. JH: No, I wasn’t really asking you to comment on your character, I was asking whether you could say today, as you said to me ten years ago, that people think – that’s the point, it’s what people think of you. JH: Because that’s damaging to the nation, not just to you. TB: Of course, but ten years on I answer that in a different way. I answer in a different way because, perhaps, I’m a different sort of person too. Not only is Mr Blair admitting that he’s not a ‘pretty straight’ sort of person any more, but look at the content before that. He even corrects himself: ‘I try and do my best’ becomes ‘I have tried to do my best’ – he’s looking back on a career that’s over, not looking forward to the things he claims it is important to him to finish off in the next few months. He knows, realistically, that he doesn’t have another few months, he’ll be forced out long before then. And that’s the most noticeable thing from this interview. Perhaps I’m being obsessed with people rather than policies, as Blair claims, but that’s because it’s clear that the person at the centre of the government knows he isn’t going to be there much longer. He knows that this inquiry will draw blood, and he will have to resign. He’s going to go soon, and has no motivation to go on. There is, indeed, resignation in his voice. It’s a retrospective interview, and may well be one of Blair’s last ever big political interviews. And so it’s well worth listening to the full thing on the Today programme website. This 1,054th post was filed under: News and Comment, Politics. Comment posted at 18:16 on 4th February 2007. The interview available for all. Great piece of work. Comment posted at 22:00 on 4th February 2007. Comment posted at 22:42 on 4th February 2007. Comment posted at 23:50 on 5th February 2007. There, in black and white, is the whole source of the problem. The Prime Minister is not supposed to be leading the people. He is supposed to be serving them. He and anyone who thinks like him must be unceremoniously thrown from office without a bye, leave or pension. Comment posted at 01:11 on 6th February 2007. That’s actually a really good point, Cleanthes. Of course, it’s most of the current government who think like him (look at all the ministers who’ve resigned only to be rehired five minutes later, and lest we forget Alan ‘I’d do anything to win this election’ Milburn) – so presumably, we need kick ’em all out.